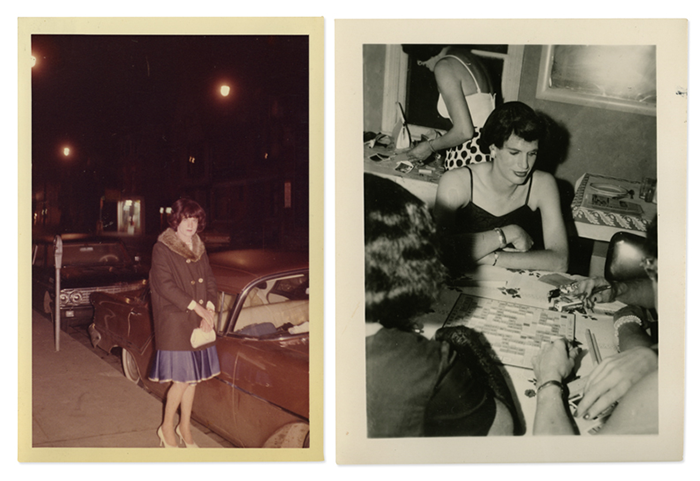 A decade ago Robert Swope and Michel Hurst happened upon a trove of photographs at the 26th Street flea market in New York City that depicted cheerful board-game-playing and dinner-partying cross-dressers. 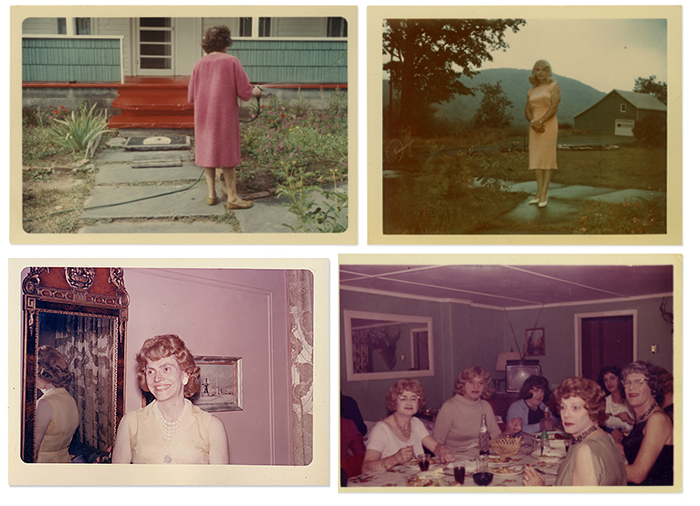 With some research, they identified the photos as all having been taken at the Casa Susanna, in Hunter, New York. 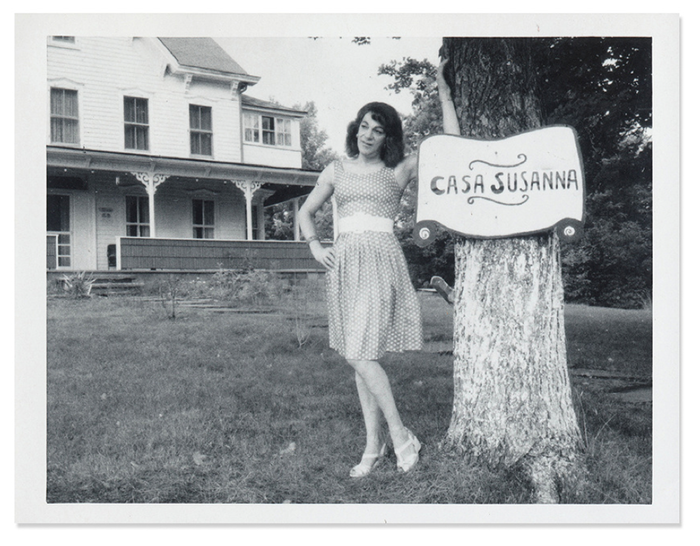 Casa Susanna, founded by Tito Valenti (aka Susanna), thrived in the 1950s and ’60s as a discreet weekend getaway for heterosexual transvestites. 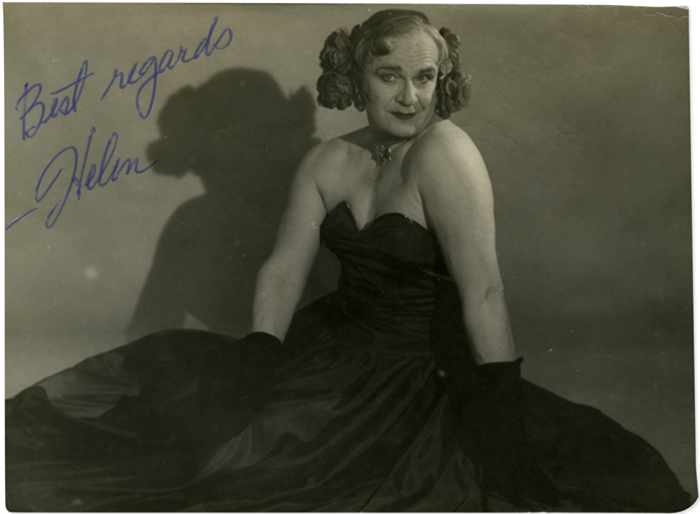 According to Swope and Hurst, the resort "embraced men who dressed like women, providing a safe haven for the exploration of gender roles in a time when it was not common to do so." 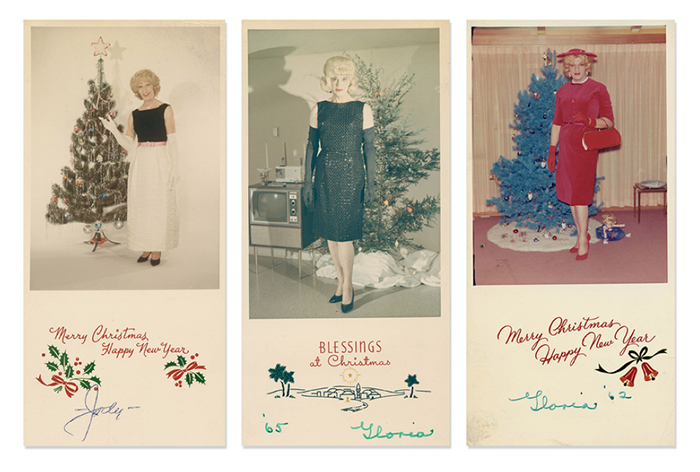 The snapshots are clearly taken by Casa Susanna denizens themselves and capture the mundane and the vampy—from performing domestic tasks and watering the garden, to posing in swimsuits at the swimming hole and for Christmas cards. Collectively, the images are a candid look at men not only playing the roles of different female stereotypes, but also expose a freedom they otherwise didn't likely experience. 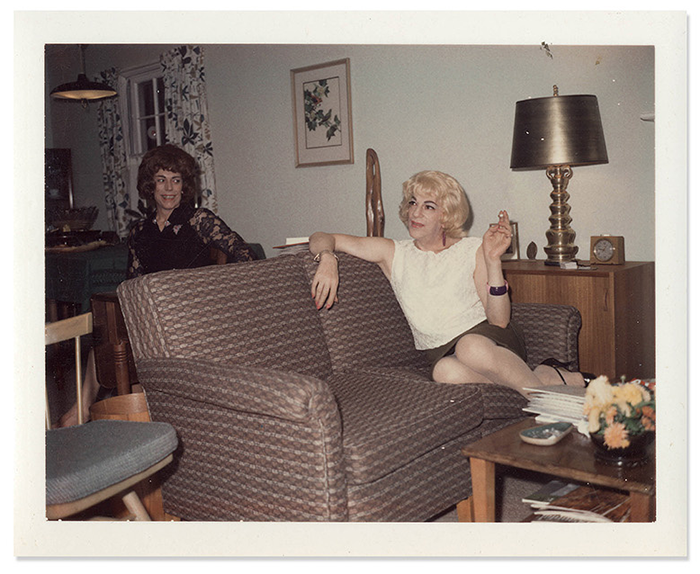 Since their discovery, the images from Casa Susanna have been the inspiration for a 2005 book and Tony-nominated Broadway play, Casa Valentina, written by Harvey Fierstein. 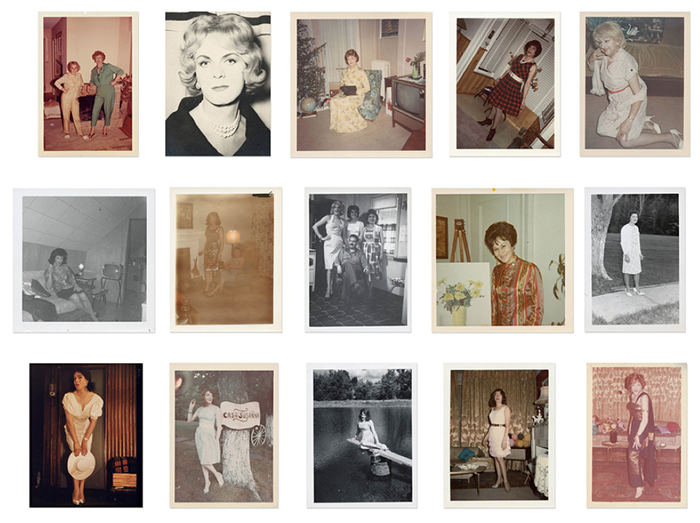 All 340 photographs are being put up for auction later this month in New York. 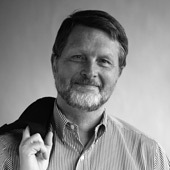 The collectors hope that an institution willing to put the work on public display will step forward. 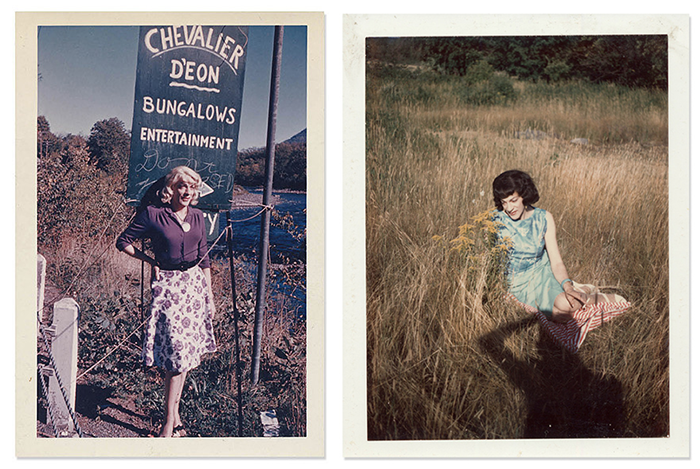 Casa Susanna: A Photographic Archive from the Collection of Robert Swope and Michel Hurst will be auctioned on October 30th and will be on view in at Wright Auctions in New York, between October 16th and 30th.